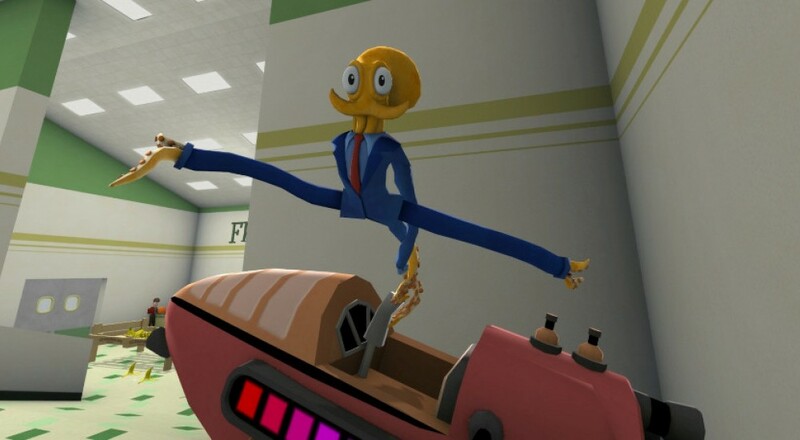 To maintain his lifestyle, Octodad must continue to blend into human society. Understandably (being an octopus), this is a struggle. The co-op mode tasks up to four players with controlling Octodad's tentacles. You can learn more about how that works in practice in our Co-op Review, but it seems to me that the Switch may offer a stronger implementation of this goofy form of co-op than the game's other platforms. Octodad: Dadliest Catch will be available in the Nintendo eShop for $14.99 on November 9th.